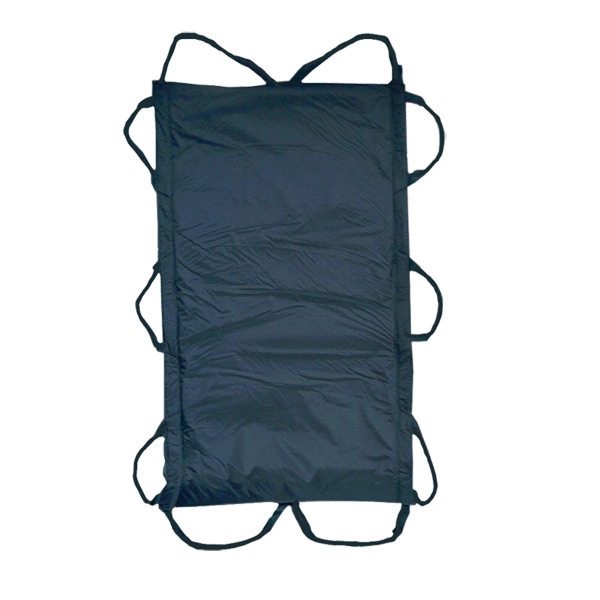 The SST Gurney consists of a padded sheet and a strong strap that forms a figure eight in the product. The weight is distributed evenly over the product; the comfortable handgrips provide good working positions. The SST Gurney covers the four friction points on the hips and shoulders. This, together with its slick underside, enables even heavy patients to be moved with ease. SST Gurney Large has 10 handgrips and can accommodate 10 helpers. SST Gurney Large has been tested for lifts in excess of 1000 lbs. Dimensions: Length 60 x Width 34 Thickness: 1/4 Weight: 5 lbs. Handles: 10 Use limit: 600 lbs.